Join in the discussion about employment, interview as a cabin crew, pilot in major airlines. I think this thread is really good as it serves as good reminder to not get into any job for the money but for the love of the job. KSL: Thanks for the input... Well I do believe that working in the military does make the same job 10x worse.. And 24 hours duties?!?!? That is absurd! But mayb the military was really no welfare at your time ba.. I spoke to the interviewers the job timing and its like 8hour shift with a 10-20min break every break every 2 hours. So hopefully the civil side would be better. 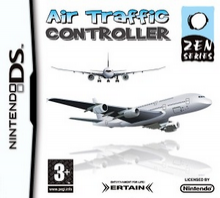 Just saw that Nintendo DS has a game called "Air traffic controller by DS".. Haha.. My friend's friend's who is an ATC in the military says its quite similar except on a much smaller scale. U got thru as well! CONGRATS! Hopefully we'll see the system eng. ger and the other chem engine guy as well... hahhaa... yeah, orientation at 845am. Yup, I agree that we should ask them on Tuesday. Nice intro of DS games btw, I shall try them out soon! From the opinions i gather from my bro n friends, the ATC position is not really worthwhile for uni grads. From the glossy brochure, an intelligent estimate will be that male poly grads get ard 1.5k during training which is about 500 lesser than other jobs. For uni grads (with honours), 1.8k represents about 1k lesser than other jobs. Besides, the regular pay after training is not clear as yet and I agree we should ask HR tomorrow. Career progression seems limited if not non-existent. If they were to peg the after-training salary to the top 25%-30% of uni grads in the 3rd year of their career on top of the hear-says of 100+K after 8-9 years in the job, then it will be very attractive. I understand that you need to have passion to undertake this kind of job and the constant harping on the salary is distasteful. However, without clear career progression, money is the next best incentive to entice people to pen their signatures on the dotted line. I like to stress this is my opinion and if I have ruffed any feathers, it was not my intention. Each to his opinion. Renumeration is very important, but its not the end all and be all. I am just a normal Uni honours grad and as are many of my peers. 8-9 years seniority, around 100K with the bonuses and extras is about right. If you are looking at promotion, its going to be a long wait, min 8-9 years. Comparing with my peers, on an hourly rate, I am not doing too shabby. Promotion wise, you need to understand how the system works, your first 2 years will be spent training and obtaining your first rating, be it Procedural or Aerodrome. The comes a couple of years of working and getting experience on the job. Then comes another close to 2 years of training again for your radar rating. That comes up to about 6 years. Only then will you be considered a fully fledged controller. Then comes a few more years of experience of working the radar position. Only then will you become useful and relatively knowledgable about stuff to contribute in a reasonable manner. All agreed? All in all, about 8-9 years. So, its all very systematic. You also need to understand, most of the people in this job don't leave, your instructors will have 25 years of operational experience or more. How do you compete with that? Not saying you can't, but experience and exposure can't be taught nor bought. One great thing about the job though is the amount of time off. No homework, no overtime. You do work weekends, but loads of us prefer working the weekends, as the Military dont fly and complexity is lessened. If you're in the top 10-20% of your cohort, things might be better for you in the private sector pay wise. But for amount of time off, this job is very hard to beat. I generally work 1 hour (max 1.5hrs) on, half hour off on the job. If we've got spare controllers, it might even be 1 hour on, 1 hour off. For an 8 hour shift, thats 4 hours on, 4 off, alternating of course. But, it is a full on hour of work, if you get what I mean. Total concentration, so you will need your break. This job is great for those who want to pursue other passions, as there's tons of time for it. This is just my take and my experience. Others will have theirs and rightly so. We are a proud bunch, and rightly so. Its not an easy job, but someone has to do it. This place has its ups and downs of course, but I still love doing what I do. As they say, you get what you put into it. Feel free to ask question, I'm sure myself and many of the silent controllers reading will answer. Many are following this thread i know! Erm... For me personally, bachelor with merit, 1.5k for me its okay considering the amount they might compensate you after the rating. That should sum up 2.3k(excluding AWS) for the first year. That seems good enough for me. After the first rating(which normally take how long? ), roughly how much would it be? Can anyone advice based on their own experience, NS and qualifications? If its really a low 2k for PATCO, i would really need to do some considerations. 100K after 7 years is alot! i think other sectors only allow you to have a shot at this amount for 7years. It really helps to know the current ATCO are a proud breed. My main consideration is whether I can rise up to the demands of the job. It wiill take about slightly more than a year to get your first rating. You have your primary ATC course, (forgive me if I get the duration wrong, its been quite a while) which is about 13 weeks, then you have a few weeks of attachment at the various places, changi tower, Air traffic control centre, seletar tower... Then the next course be it procedural area nonn radar or the Aerodrome course, thats about 16 weeks.. After that comes 4-6 months of On The Job Training... I say 4-6 months as the faster you progress, you faster you get rated as a controller. As a general guide, with the traffic density that we face these days, 5-6 months is the norm, as we need to be relatively sure you can handle the traffic. All in all, slightly more than a year. That said, everything is dependent on you going for your courses on time. I can understand first time job seekers comparing the starting salary and seeing how much their peers are getting and saying, hey, I'm gettting far less than what they are. You got to understand, you only start getting decent money after your second rating, that is Radar control. Which would come after your 4-5 year of service, and that alone take about 1.5 years including On the Job training. So you would be in your 6 to 7th year of service when you obtain your rating. 2 ratings, thus $200, plus 16% on top of your monthly pay. I dont think you get $100K after 7 years, I mentioned 8-9 years I believe. 2 years does make a difference, believe me, with bonuses and extras thrown in. You also get your merit increment every year, so you're not really stagnant, tthat is until you hit your max ceiling. Being degree holders, we tend to hit it faster than our poly counterparts. I have talk plenty about the money part, but its not all about that. You will fiind that if you're not interested in the job, you're going to get disillusioned relatively fast, as with any job. The amount of free time is great. As a fresh Grad, you guys wont see it but look down the road a few years, you will appreciate the days off you get. No homework, when your peers are working late and bring home stuff to complete. Sure you may be earning slightly less, but in terms of a work/outside life balance, that is a great job to be in. Sure we work weekends, but not every weekend. The best part is off days on weekdays. The banks are less crowded, you take your time to do whatever errands you need to. Sipping coffee while watching the world rushes by is a very nice feeling. Hope this helps. 3NM wrote: ....The banks are less crowded, you take your time to do whatever errands you need to. Sipping coffee while watching the world rushes by is a very nice feeling. Hope this helps. Hi, I am really very interested in the job, is there any possibility that I can get the computer re-test? To those who went for the orientation to SATCC and SAA on the 16th June. May I know when is the latest we must give our reply? i am a female deg holder, from what i see the salary wise for females are really at a disadvantage.. but will the salary rise too over the years as u guys described? anyway i just completed my screening test last week and was told to go down for the interview next week. there are 2 different interviews right? can i ask what's the difference? whoknowswho wrote: To those who went for the orientation to SATCC and SAA on the 16th June. May I know when is the latest we must give our reply? I really pains me that I have decide to turn down this job =( Quite depress over this. After considering so many things so many times, I had to make the more difficult decision of not signing. Thanks to all the gentleman/ladies here during this time though for all the advise and sharing. Unpaid Malaysian traffic summons: M'sian police will soon be carrying out a large-scale arrest operation. Cheaper to buy air tickets via UK website or SG sites? Is it cheaper to buy return flight to UK from SG via a UK website or via SG website, or is it pretty much six/half dozen? Can anyone recommend a good/reasonably priced AC service company please? is it still safe to travel by air? sigh!